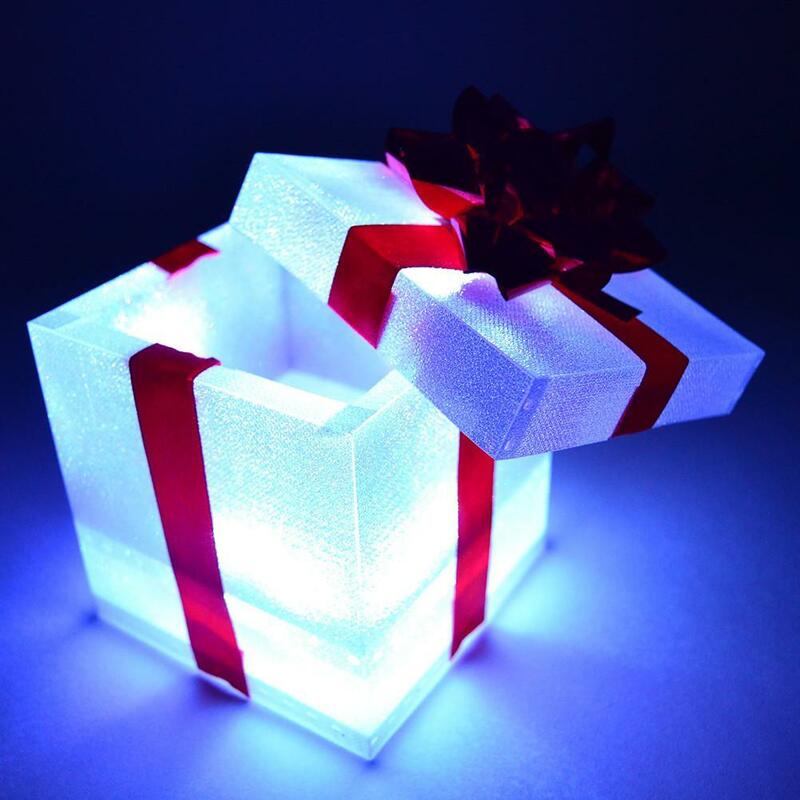 The box has LED lights and there are glass tiles that reflect it. You look through the box and you can see it. The lights can change color with a remote. It is powered by the battery pack.